Gita Jayanti - Saturday, Dec 10, 2016 ~ The Toronto Hare Krishna Temple! On Saturday, December 10, 2016, the auspicious festival of Gita Jayanti will be celebrated at the Toronto Hare Krishna Temple. Gita Jayanti marks when Lord Krishna expressed the truth of life and the philosophy of the Bhagavad-Gita to his student, Arjuna. 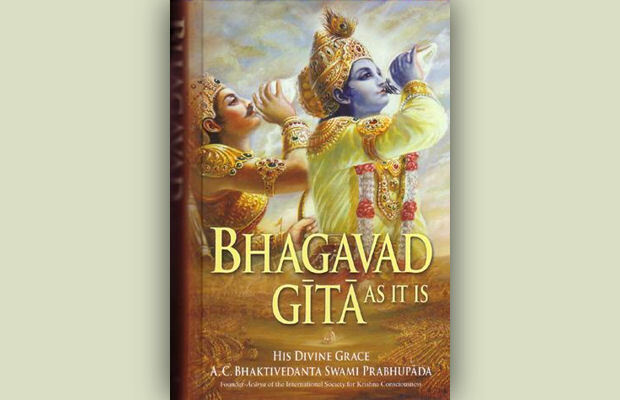 The Bhagavad-gita continues to be one of the world's most popular and inspiring books, covering topics such as the immortality of the self, the origin of all existence, how to remain peaceful in the most trying circumstances, and the relationship between us and God. To celebrate Gita Jayanti, we will be reading the entire Bhagavad-Gita between 4:30pm and 7:30pm. We will alternate between reading Sanskrit and English chapters.We warmly invite you and your family to come join us for this very special festival this Saturday.